Hearthstone is one of the oldest digital collectible card games (CCGs) around at this point, and certainly one of the most popular. Blizzard's talent for sanding the corners off of dense, crunchy strategy games makes Hearthstone a great entry point for anyone new to CCGs. 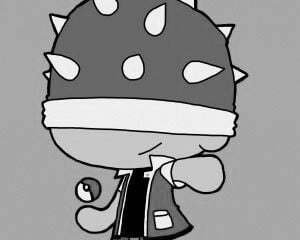 The art, voice lines, and humorous descriptions on the cards help add some levity to a genre that often takes itself way too seriously. Over the last two years Hearthstone has gone through significant changes, removing older card sets from standard play and introducing the "Wild" format where veterans can use all their cards. The developers have also said they don't intend to create any more Adventure expansions, premium add-ons which allowed everyone playing to unlock the same cards. Instead, there will now be three themed card expansions every year which include some Player Versus Environment (PvE) content as a bonus. The PvE content released so far under this new system has been exceptional, and making it free for all players is a nice olive branch for those who miss the Adventures. But it doesn't wash away the suspicion I get that the game has become much more predatory towards players' wallets, and feels more like a "pay-to-win" CCG than it did in the past. I really don't like the direction the game seems to be taking, but it's so much fun I keep playing anyway. I guess that makes me part of the problem. We wanted to wait until the PvE mode was live to give The Witchwood a full review, and in my estimation the new stuff was worth the wait. The single-player "Monster Hunt" mode adds four playable characters and pits them against more than 40 new monster encounters which are randomized each time you play. Mashing up CCG deckbuilding mechanics with the permadeath and randomization of a roguelike works better than you might think, and I love the addition of new deck types and hero powers. 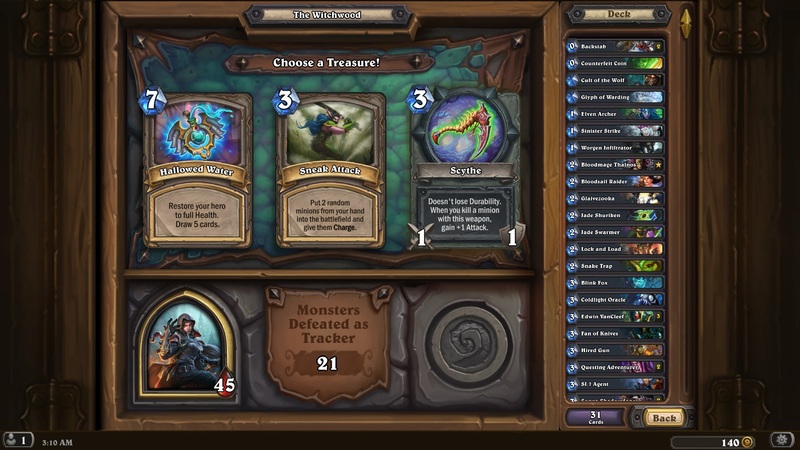 The Dungeon Run from Kobolds and Catacombs was my favorite part of that expansion, and there's just enough changed here to make the new content fresh and interesting. The four hero characters each have a personal nemesis to battle at the end of a run. Part of the fun is choosing cards and treasures fitting a strategy which will allow you to overcome your rival while still being diverse enough to face off against the monsters you'll encounter. There's a great sense of risk and reward since specializing your deck can backfire if you come up against an opponent that counters your strategy. On the other hand, abusing the enemy's abilities against them can also be a lot of fun. 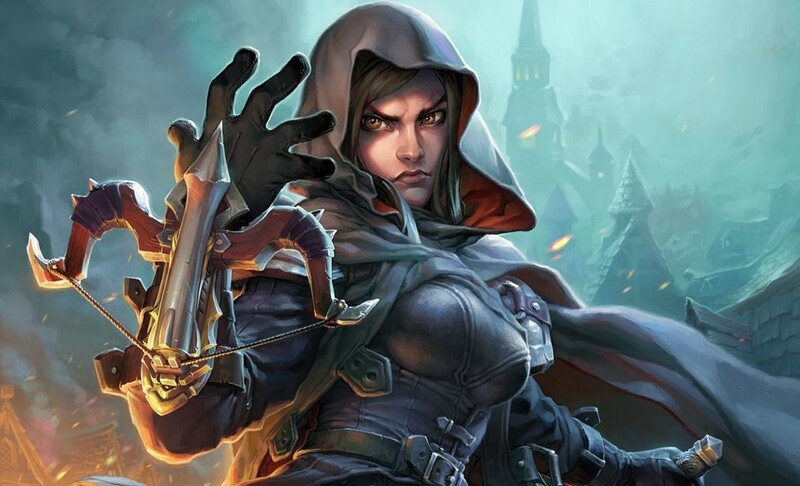 Each of the four new heroes has their own playstyle and hero power, and each requires a different mindset to succeed against the monsters of the Witchwood. Tess Greymane has a powerful hero ability, and can recycle spells no matter which player cast them initially. Most of her cards come from the Rogue's library, but she can use some Hunter cards like secrets as well. Darius Crowley starts the game with an invincible cannon, and positioning other minions around it intelligently is the key to victory. His playstyle reminds me of the standout chess match from the One Night in Karazhan expansion, and blasting away at the enemy frontline tends to be quite entertaining. Houndmaster Shaw favors beasts and draws his cards from the Hunter and Druid sets. He can summon a 1/1 beast with the new Rush ability, but he's probably the least interesting of the new heroes. Finally, Toki the Time Tinker is a Mage with an unique ability. She can't deal direct damage with it, but her hero ability lets her restart her turn for free if she doesn't like the outcome of a random effect. Many of her cards and abilities take advantage of her RNG manipulation, but she's still the least consistent member of the monster-hunting crew. Clearing eight encounters in a row with all four characters allows you to face off against the big bad of the Witchwood, the Orc shaman Hagatha. 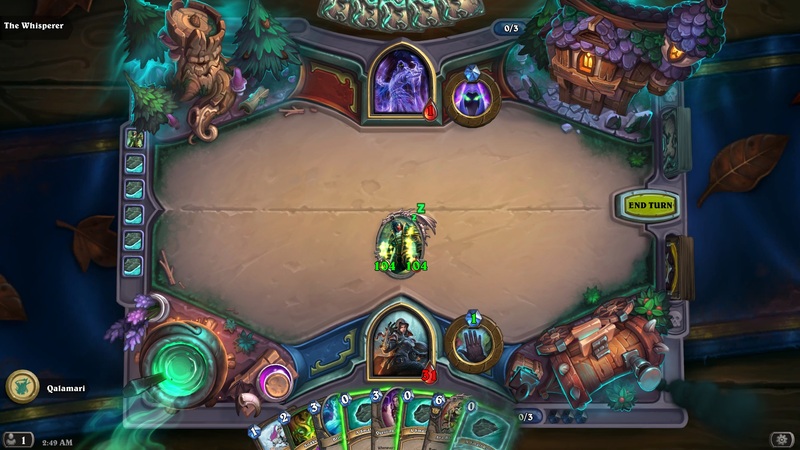 All four heroes team up at the end, and the encounter is very satisfying when you manage to pull off a victory against Hagatha's numerous advantages. Defeating her earns a new card back and bragging rights, but nothing else. That's one of my major problems with the shift to multiple expansions and the decision to phase out Adventures. Even though players who are willing to spend more on packs are always going to have a leg up over players who aren't, the Adventures provided the same set of cards to everyone, regardless of how deep their pockets are. Players who didn't want to drop $25 to purchase these expansions all at once could buy them by earning in-game gold and unlock the same cards without having to plunk down any cash. It had the effect of flattening the playing field somewhat, allowing free-to-play players a better chance against those who don't mind paying for an advantage. That grace is gone, dead and buried as of The Witchwood. Since Karazhan rotated out at the same time The Witchwood was released, no Adventure sets are now legal in the Standard format. This means every card in Standard has to be bought in a pack or earned through daily quests or Arena play. The loot-box-style card packs are randomized, and you can't count on getting any Legendary cards to build a deck around. Polygon estimated that Hearthstone could set you back at least $400 per year if you want access to all the toys. It's possible to craft what you want by breaking down unwanted cards, but the cost makes doing so impractical on a large scale. Each card you break is worth about a quarter the cost of making a new card of the same rarity. The trouble with this system is compounded by the fact that there are twice as many of the expensive Legendary cards in each expansion as there used to be. Unless you buy packs, you probably won't be getting the cards or dust you need to build a competitive deck. Blizzard has made some concessions since Kobolds and Catacombs to make things slightly easier for free-to-play players. In the leadup to The Witchwood every daily quest a player completed earned them a free pack of cards, and daily quests were changed in players' favor to provide more gold and take less time to complete. The preorder bonus for buying packs ahead of time provided an extra 20 packs, reducing the cost of each to less than a dollar. Anyone who logs in during the promotional period gets three free Witchwood packs and a random legendary card from the set. Unfortunately, none of these bonuses deal with the fact that random chance is the dominant factor in determining what kind of decks you'll be able to build. If it were up to me, I'd like to see a hybrid approach to earning cards going forward. Maybe defeating Hagatha could allow players to earn a single Legendary card of their choice from the expansion, and beating one of her minions could reward player with an Epic of their choosing. I'd much rather have this option than just earning a card back which is pretty, but useless. Or perhaps beating the big boss at the end of the single-player game could earn you a specific card to build around; Hagatha has her own Death Knight variant, after all. Previous expansions have provided players with a specific Legendary card as a promotion, like Marin the Fox in the Kobolds and Catacombs expansion. Earning packs for completing quests is great, though I wish the game would provide more opportunities to do so. 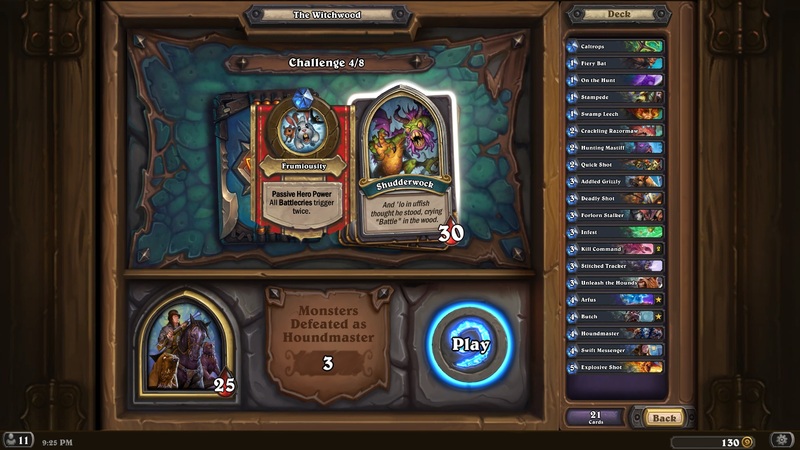 The leadup to The Witchwood when players earned a pack for every quest completed felt fantastic, and I'd love to see that concept return more frequently, or even permanently. Moving past the cost issue, let's take a look at the state of the metagame. The Witchwood didn't add anything to temper the most dominant deck type being played right now, the controlling, self-sacrificing "Cubelock" Warlock deck. Big Priest lost a few tools when last year's card sets rotated out of Standard, but it's still a valid playstyle. A couple of nifty Legendaries give bonuses to your hero power if you restrict your deck to all odd or all even-cost cards, and this has led to interesting new strategies. But the biggest change has been the addition of the Shaman's Shudderwock deck, which has made ranked mode a lot less fun. It doesn't necessarily win all the time, but it's really annoying to play against. The deck takes advantage of the Shudderwock's completely bonkers Battlecry (enter the battlefield) ability, which repeats every Battlecry from every creature you've played previously. You have to build your deck around it, but dropping it usually wins the game outright. Shudderwock is an expensive card to play, so Shaman playing this deck tend to play cards which draw the game out, making facing off against them a slog. 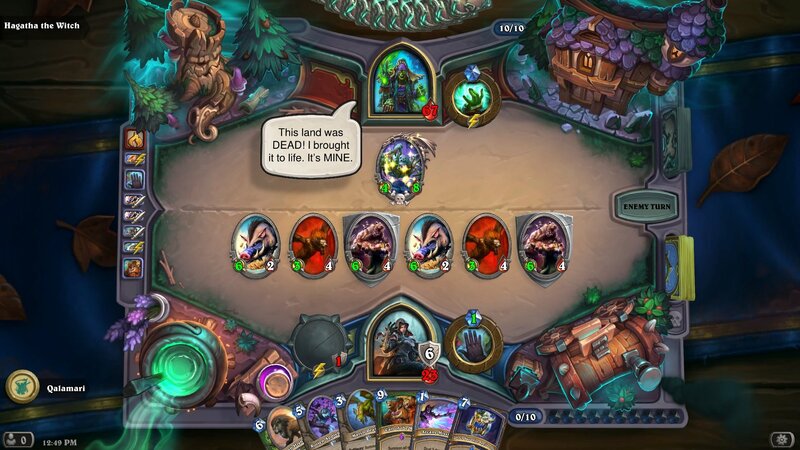 What's worse, the animation of every Battlecry plays out as it did the first time, so players on slower connections or mobile devices may not have a chance to respond even if the Shudderwock doesn't destroy them outright. Blizzard did speed up a couple of animations to help mitigate this problem, but once you've played against a Shudderwock Shaman you probably won't want to see another one ever again. More updates are planned, but Blizzard won't be making any balance changes until the end of May. It's made for one of the worst metas I can remember, and I've been keeping away from ranked play whenever possible. It doesn't say great things about a game's expansion when it makes me want to actively avoid the main mode. Fortunately, there are many other ways to play, and the fantastic Monster Hunt content makes up for a lot of other failings. So that's my recommendation. 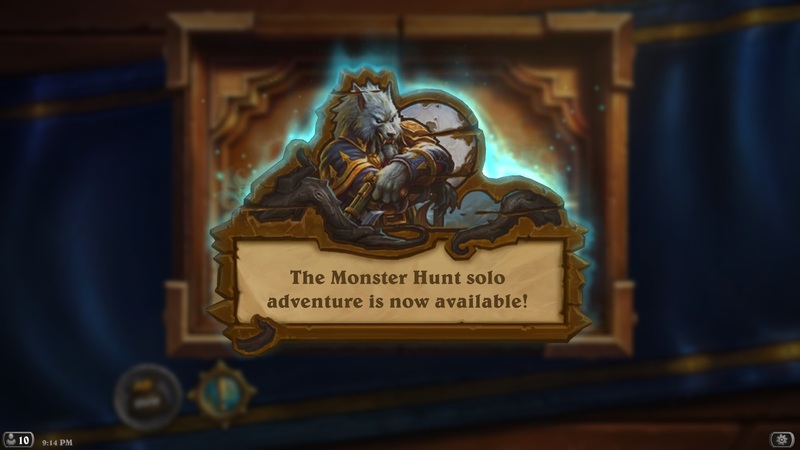 Play and enjoy the Monster Hunt mode, but stick to the Arena and Tavern Brawls when playing against others if you don't want to open your wallet. I still enjoy playing this game, but the busted meta means I'm enjoying playing against other people less and less.